Meanwhile, iPhone sales were basically flat. That iPhone sales basically stayed flat is little surprise — Tim Cook himself said last quarter that incessant reports about new models stymied sales, and we're now about a month away from new iPhone announcements. Meanwhile, iPads — and the tablet market in general — have been looking anemic at best for a while now. 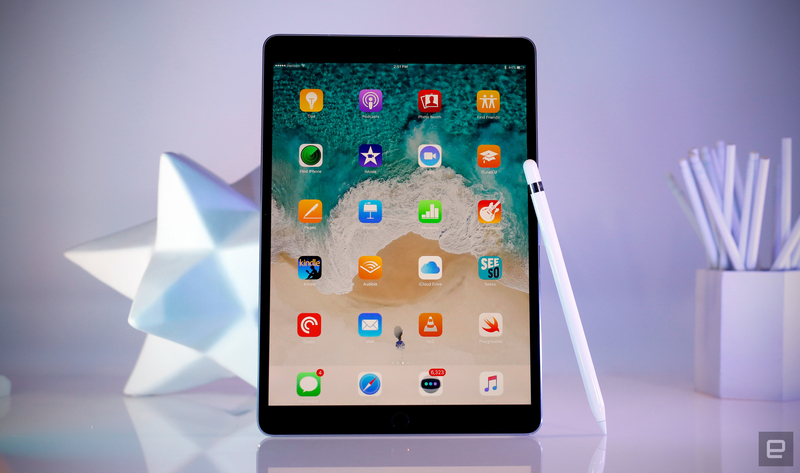 This quarter's notable lift is thanks to the launch of multiple new models this year, from a pair of new iPad Pros to a low-cost, $329 model meant to help new customers and upgraders with old 'Pads experience what new versions of iOS can offer. Unfortunately, Apple didn't mention whether this surge in tablet sales was mainly attributable to those beautiful new Pros or its rock-solid cheap tablet. Mac sales, meanwhile, remained essentially flat with just about 4.3 million units sold. People clearly weren't too thrilled about the refreshed machines Apple showed off at WWDC, but the big stuff hasn't arrived yet. We'll see what happens when that sleek new iMac Pro goes on sale later this year. 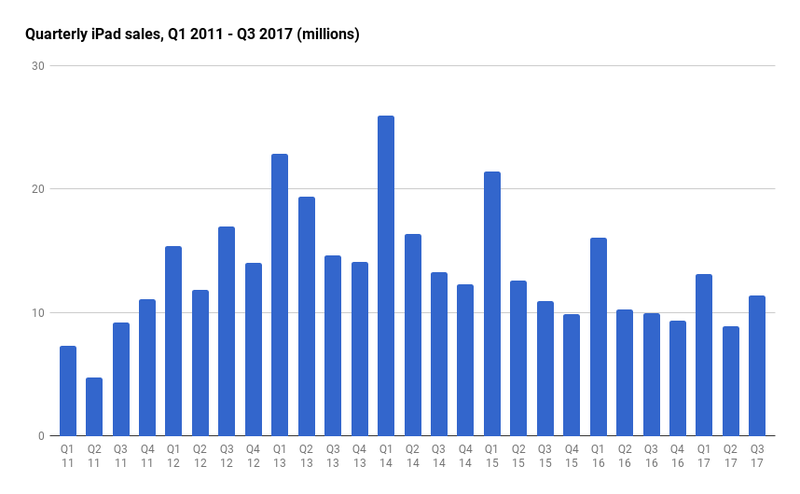 The seasonality of Apple's fortunes is well understood — Q3 is generally pretty quiet as people gear up for the announcement of new products in September. (The financial party really kicks into high gear in Q1, when Apple the results of its typically-bonkers holiday sales period.) Since lulls like this are relatively easy to foresee, Apple has to be proud that its service revenue — the money it makes off things off iTunes and App Store purchases, Apple Music subs, iCloud and more — is also up. Altogether, those purchases add up to $7.26 billion, up 22 percent since this time last year. Apple CFO Luca Maestri specifically pointed to Apple Music and iCloud storage as two areas that saw notably strong growth. And then there's all those other products, like AirPods, Watches and more, that Apple handily lumps into a single category called "Other Products." This time, the company reported $2.75 billion in revenue, which is up a whole lot from last year but not so much from last quarter. The year-over-year jump is to be expected since Apple's surprisingly popular AirPods weren't available until the winter of 2016; the very slight decline since last quarter could mean people aren't buying AirPods quite as rapaciously as before, or that Apple is (still) having trouble producing in large enough quantities. CEO Cook did, however, point out that Watch sales were up 50 percent year-over-year. Sadly, Apple is still more than happy to avoid breaking down revenue into slices for its wearables and accessories, so it's hard to say for sure which products contributed most to this segment's growth.